WHAT DO YOU GET IF YOU CROSS NEUROSCIENCE, FASHION, SCENT, BIOTECHNOLOGY, COMPLEMENTARY THERAPIES AND AI, AND COMBINE WEARABLE TECHNOLOGY WITH A NEW GENERATION OF SENSORS? Taste, touch, smell, sight and hearing are the five traditionally recognised senses. They are a direct channel into how we make sense of the world and ourselves. In a time in which visual perception dominates the information that flows into our brain from the senses, we mostly see our clothes as an aesthetic enhancer and visual contributor to our self-esteem. But, as an extension of the body, as a means of getting in touch with ourselves (emotions, DNA, thoughts) and the world, fashion has a lot more to offer! As a true embodiment of the vision behind MIND FASHION Dr Jenny Tillotson presents a world of opportunities by combining technology, psychology, design and the multi-sensory language of fashion to contribute to today’s issues around health and well-being: eScent®. Imagine: The stress of an imminent deadline is starting to get to you but, just as the tension rises, a mood-boosting aroma is released from a pendant around your neck or a button on the shirt you’re wearing. The technology behind it has read stress signals from your body and responded by triggering the release of calming essential oils to create a personalised ‘scent bubble’ around your head. It may sound like science fiction but eScent® – an emotionally-intelligent fragrance dispenser that can be synched to someone’s mental or physical state – has already been granted patents in the UK, USA and China. Jenny, who herself has bipolar affective disorder and anxiety, believes the technology could have mental health benefits for everyone, from the person that just needs a mid-morning boost at work to those with mental health conditions, such as stress and anxiety disorders, OCD or bipolar affective disorder. She uses the power of fashion as a second skin and communicator of one’s biorhythm, translating it (informed by psychology and neuroscience) into personalised aroma-based fragrances to contribute to health and well-being. From reducing anxiety to alleviating stress and improving sleep. 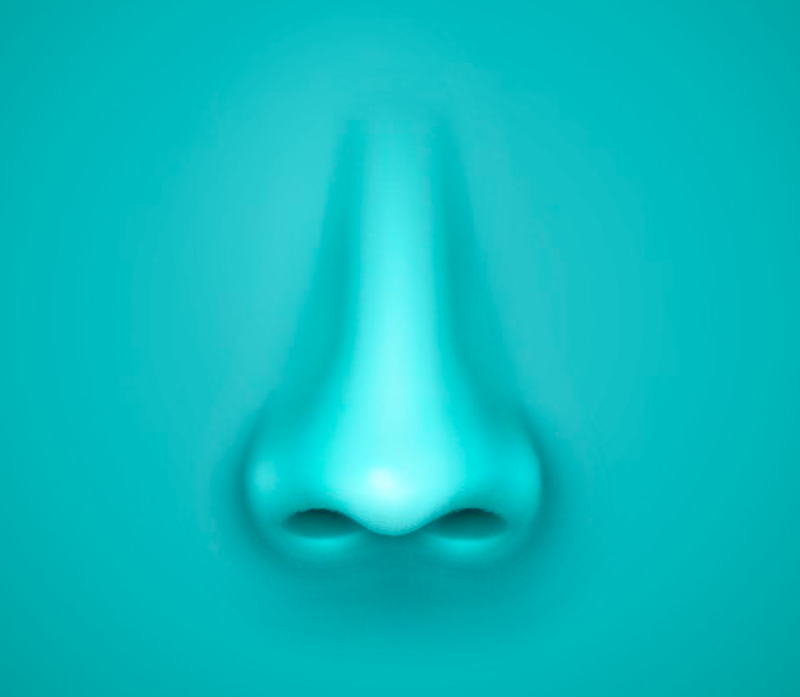 In response to a real-time dynamic change in mood, biology, behaviour, voice analysis and sleep patterns, fashion (clothing/jewellery) can respond to emotional and sensory cues with fragrances, while using AI to learn from the wearer. That is how fashion makes more sense; providing a new mirror, through data, sensors, scent and feedback to better understand ourselves and others, and driving solutions for well-being and (preventative) healthcare. Innovations like this might even offer more opportunities when introducing scent as an additional and more engaged sensory experience, value to and understanding of the clothes we wear (longer). Transforming today’s fashion industry attitudes and issues such as consumer behaviour, environment, self-awareness, self-esteem and health into ones that are more conscious, connected and mindful. eScent® is recognised on the TransTech200 'Up & Coming' Innovator list, the annual list of innovators who are driving technology for mental and emotional wellbeing forward. How the innovative design of a personalised fragrance wearable can help manage mental health conditions.